The Kimberley is a sparsely settled area in Western Australia that is known for its vast wilderness. With dramatic gorges, beautiful coastline, rugged ranges, and semi arid savannah, visitors are drawn to the Kimberley to experience this dramatic and stunning beauty. If you’re planning a trip, you’re likely to find an amazing choice of tours from Broome, so here we’ll explore why you should consider a 4WD Kimberley Tour. One of the first benefits you’re likely to notice about a 4WD tour is that they offer remarkable flexibility. Unlike many tours which can include dozens of visitors, 4WD tours are typically very small. You can expect to travel in groups as small as four, which not only allows greater attention from the professional guide, but also allows for a less rigid itinerary. With so many amazing sights in the Kimberley, it can be frustrating to feel rushed along with a big group, when you would prefer to linger. However, in a group of four, it is easier to reach a consensus about where you would like to spend more time. Another benefit of a 4WD Kimberley adventure tour is that you can experience the real Kimberley. In such a small group, you’ll have an opportunity to meet locals and spend some time with them learning about the art, culture and natural beauty of the area. You’ll do more than merely fly or sail to different locations; you’ll be on the trails and roads to get a close look at the superb flora and fauna. Many incredible spots are inaccessible by helicopter or boat and so there is no better way to experience everything the Kimberley has to offer than by 4WD. From the popular Gibb River Road, there are numerous trails leading to secluded swimming holes and dramatic falls, and your guide will know the best spots for enjoying a relaxing break. 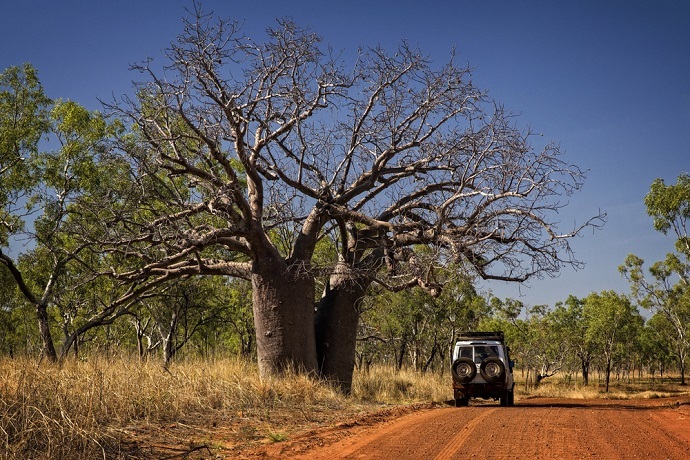 During a 4WD tour, you’ll be able to see, hear and smell the Kimberley, making your holiday memorable trip of a lifetime. Many people are hesitant about tackling a break in the wilderness of the Kimberley because they can’t live without their creature comforts. Sure, camping for a night or two can be exciting, but when you want to pack adventure into every day, it can quickly become a chore. Even if you don’t need to set up your own tent, when your feet are aching after tackling a hike to a stunning gorge, or your back feels a little stiff, you’re likely to be dreaming of a comfortable bed and a few luxuries. While you may enjoy a full day of adventure on the road, there is nothing better than relaxing with a hot shower, a great meal and a comfortable bed. A 4WD Kimberley tour with InStyle Adventures caters to exactly this mindset, adventure by day, and by night you can relax with a glass of wine, good food, a hot shower and a real bed. Your guide will help you to explore the wilderness, but you’ll be able to enjoy luxury dinners and top class accommodation, so you can recharge and be ready for another day of adventure. The Kimberley is an exciting and vibrant place to visit, and undertaking a 4WD tour from Broome will allow you to pack in some stunning sights and sounds. So, if you’re serious about seeing all the Kimberley has to offer, do it by 4WD with InStyle Adventures.